Sometimes defense is the best attack. Specially when you know your opponents has more resources (read: terrain) than yourself. Even though Z:SS is an attack-balanced game, don't think this means the defenses are poor like in other games. If the map is a low-medium credit one, use tank gun clusters (three of them in a triangle formation, one covering the other) as a great and reasonably cheap tactic that will save you valuable building time - remember bunkers demand factory build time to give you the needed units to work, while tank guns doesn't. 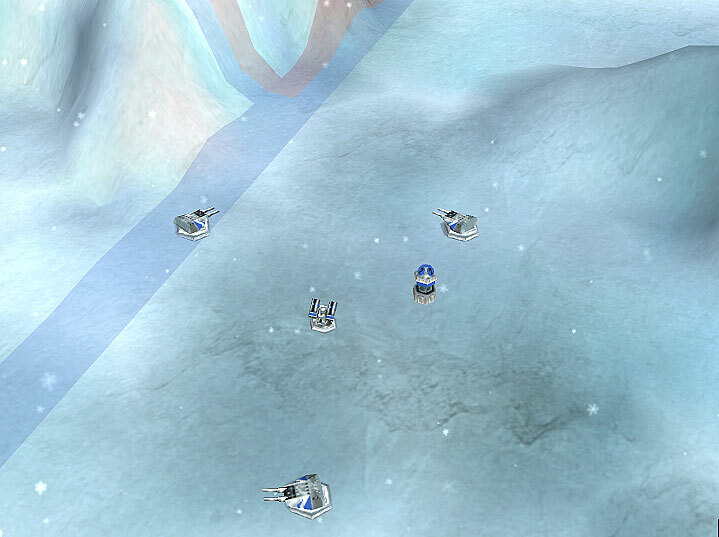 As game progress, to avoid losing them easily invest on at least one anti-aircraft tower right in the middle of them. Bunkers on the other hand are great for both AA and ground defense, so if you think you'll have the time before the enemy attack you should go for them. 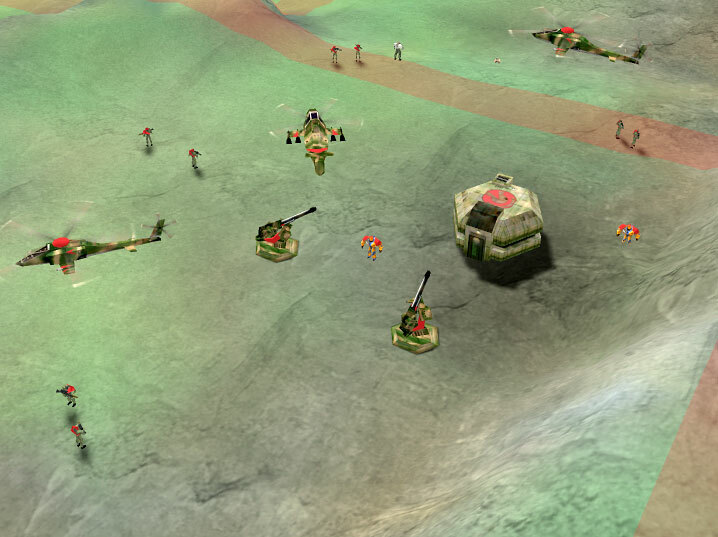 Bunkers and defense towers have the added benefit of being great tactical structures for two reasons: First because the enemy never know exactly what's there until he attacks. I've seen enemies with very good attack forces afraid of a bunker with a single psycho in it! Of course he just has to send a scout chopper in to check it, but remember that in poor maps everyone hardly goes to choppers. Second and most important, you can jump your units out of the bunker to reinforce your own attack force when you feel the time has come. On rich maps (3- and 4-star flags around) get ready to invest on heavy defenses. The defense tower is great when filled up with five toughs and one sniper - although this is a very expensive and time-demanding setup. Sometimes you'll prefer going for the cheaper gun platform that has very good range although just average reload - and, back to the tank gun formula, doesn't drain your max units count to work. As a last tip, to make a really effective defense on a given territory, don't rely only on a single heavy gun and AA tower combo, 'coz they're too easy to destroy with a single spy and some psychos. Use at least one anti-tank gun or, preferrably, a bunker with some psychos - which can't be infected - to guard your heavy gun. 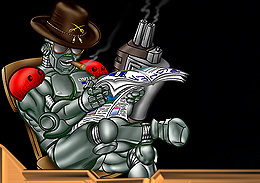 That's another of those rare good uses for psychos, even though they don't have the range to fight incoming toughs, that'll be the job for the heavy gun(s) behind it. Obviously toughs are much better inside bunkers, but in this case it's just a waste of resources, since you generally won't want to reallocate *this* bunker troops anywhere due to the heavy gun(s) importance. To complete the mix, don't forget adding a couple snipers or some choppers around the outpost to assure the heavy gun(s) the LOS to be really effective. A really wild defense here. No spies allowed.